The Freeman Zinc 1/4 Inch x 3/8 Inch Automotive Barbed Coupler features a secure 4-Ball connector for quick and secure connections. In-line valve keeps hose pressurized when disconnected and helps to reduce whip. 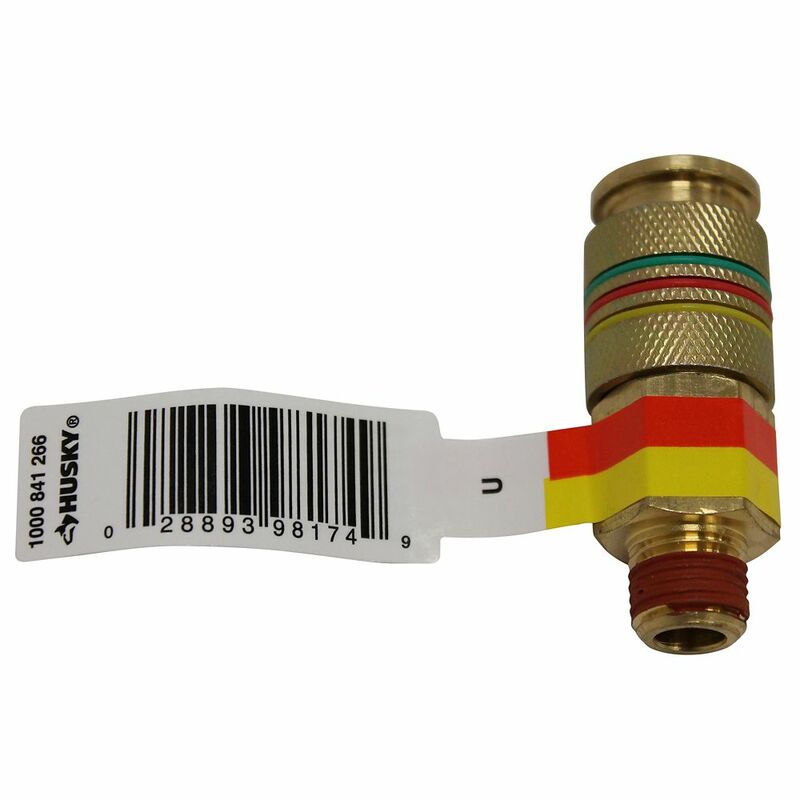 Features a NPT 1/4 Inch fitting along with a 1/4 Inch snap-in style fitting for easy connections. The Freeman Zinc 1/4 Inch x 3/8 Inch Industrial Barbed Coupler features a secure 4-Ball connector for quick and secure connections. In-line valve keeps hose pressurized when disconnected and helps to reduce whip. Features a NPT 1/4 Inch fitting along with a 3/8 Inch barb-style fitting for easy connections. This Husky 1/4 in. Male Safety Coupler is built to industrial standards for professional use and is available exclusively at The Home Depot. The design is ideal for the contractor or professional users. It's unique push button design allows for fast and easy connection and disconnection of tools while eliminating air pressure and air blow back. 1/4 Inch Universal Coupler The Husky 1/4 inch Universal Male Coupler connects fits the three most popular style plugs, I/M, TF/Automotive and Aro. Tubular valve body offers high flow rates to provide excellent performance. Heat-treated locking balls and brass construction for a long service life. Eliminate coupler confusion with this single coupler.